I was really happy to see that the teddy trend was back this fall. You can't beat anything fuzzy, soft and cozy that also still looks stylish! 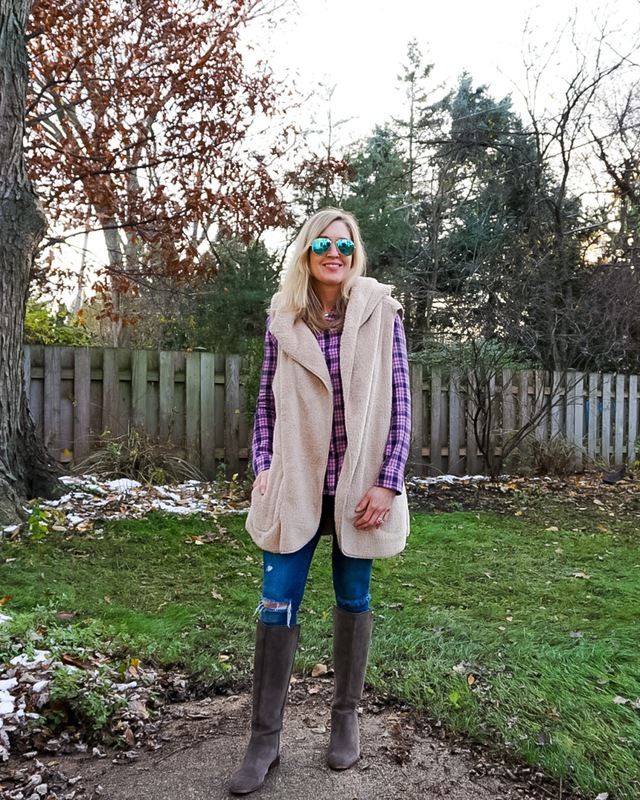 When I found this dreamy vest, I loved the neutral color and longer length, but what sold me on it was the hood and pockets! You can wear this over a tee or button down and it's easy to layer sweaters under it without any bulk. 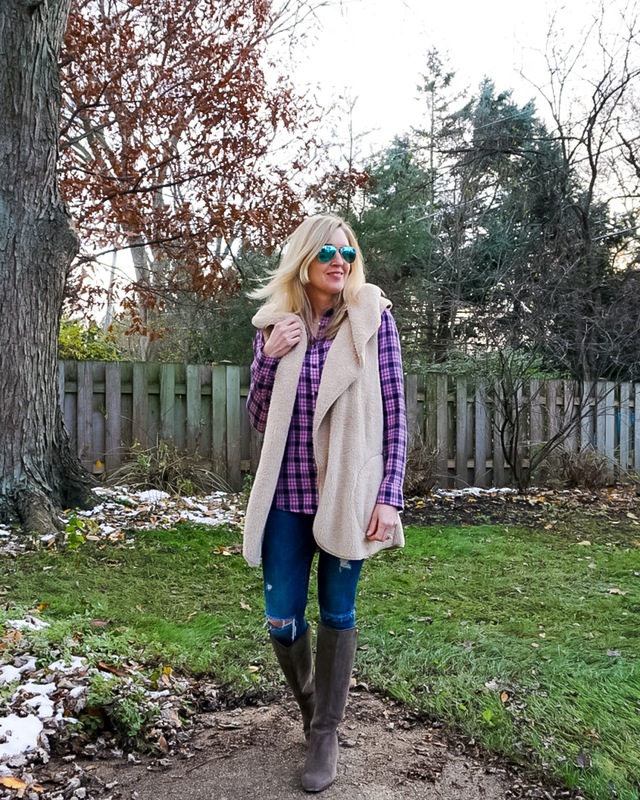 Today I wanted to show you how versatile a teddy vest is with two different looks! 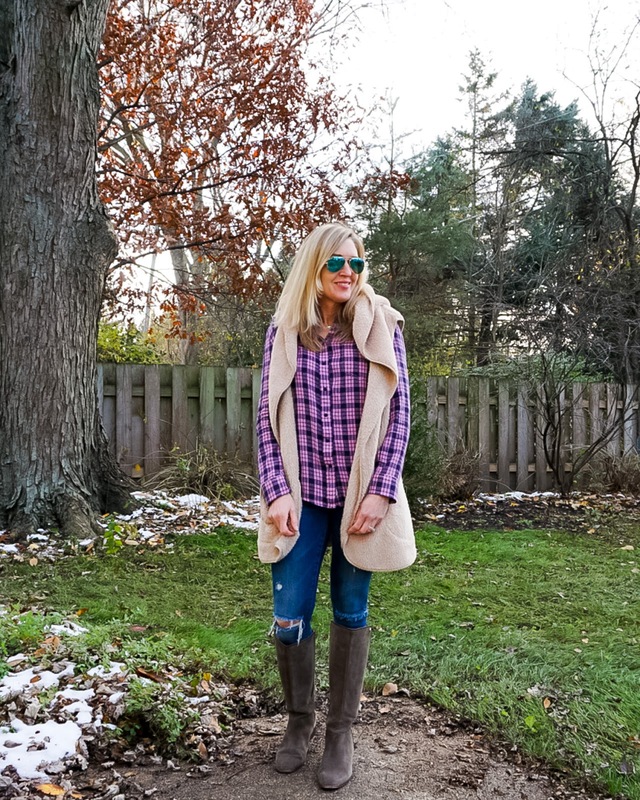 For the first look, I wanted to keep it simple and style it with a flannel, jeans, and boots. 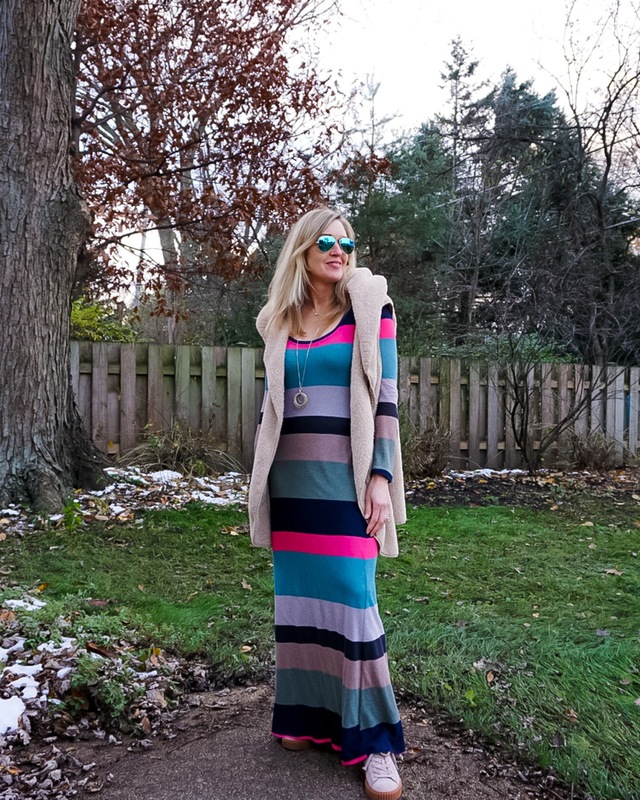 For the second outfit, I wanted to show you that the vest is not just limited to jeans or pants and layered it over a knit dress. 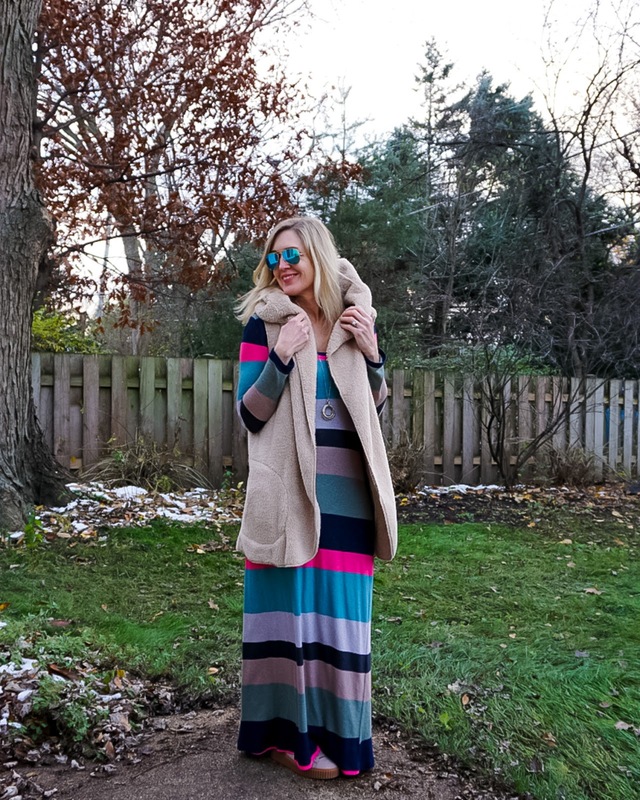 I've had this dress for ages but was able to find it on Poshmark and also linked up a few other maxi dress options for you. 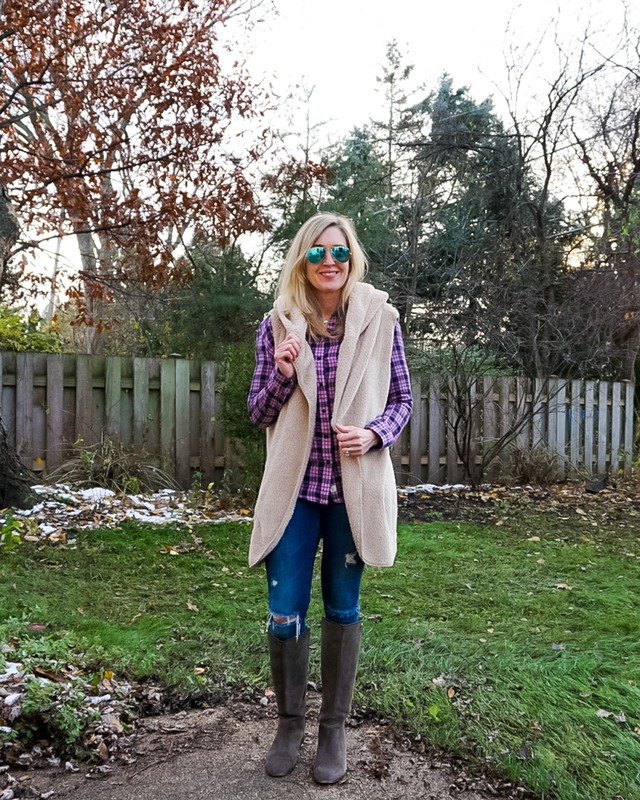 Do you own a teddy vest or coat? As always thank you for reading! I'll be back tomorrow with a White Elephant gift guide!